Film buff Paul Williams loves movies so much that he’s had a Home Cinema built in a Garden Room in Frodsham, Cheshire - complete with a massive 100-inch screen. By day it doubles as a Garden Office for the self-professed flicks fan from Frodsham - but at night Paul transforms it into a “man-cave” to watch classic movies with friends. It is fully fitted out with comfy sofas, a top of the range projector, digital surround sound and a huge screen. 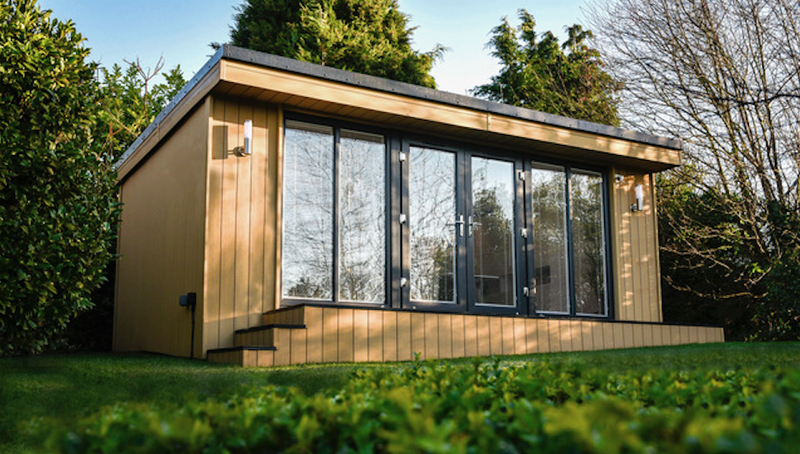 Paul said: “I work from home and I really needed my own fully insulated Garden Office space, so it is designed to have my desk and work area. 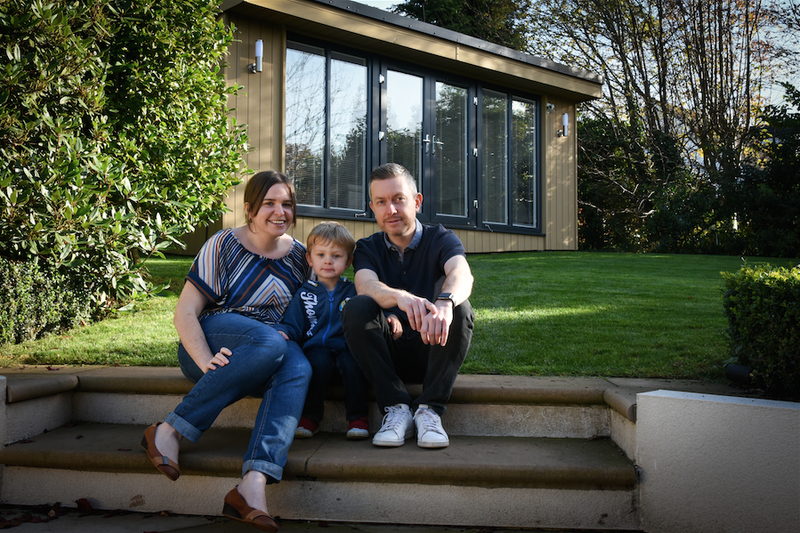 “We had two choices – add an extension on to the house or build a separate contemporary Garden Room and, given the difference in cost, this seemed like a sensible compromise. “The desk is on order, but I thought I’d get the rest of it sorted out first and now it’s the perfect place to watch films. A fan of classic American movies such as The Shawshank Redemption, Goodfellas and the Bourne Legacy, the 38-year-old also catches up with football and golf on his huge screen. “It really is so peaceful and quiet,” said Paul, a financial planner who has a three-year-old son Tommy with wife Caroline. “I certainly have a great escape place now, which is nice, as it’s always chaotic living with a youngster. Measuring 28 square metres and fronted with double French doors, the luxury Garden Room fits snugly into the surroundings of the couple’s three bedroomed dormer bungalow and the family are delighted with their investment. 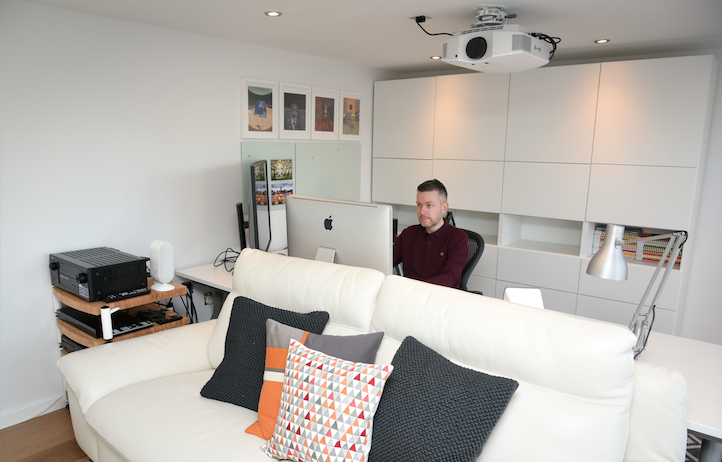 Rubicon Garden Room Managing Director John Lyon said: “More and more people are realising the benefits of working from home, whether self-employed or working remotely for a large company. “It saves them time on their commute and allows them to spend time with their family and friends, or work the hours that suits them best. “However, often they don’t have the space, especially once they start a family. So building in their garden is an excellent compromise - and in most cases, they don’t need planning permission. “Our bespoke service means they can create exactly what they need, without any worries over maintenance. It just takes a few weeks from start of the design to completion, so there’s very little disruption to their family life. Paul and Caroline are full of praise for the Rubicon team and the speed in which the building was constructed. Paul added: “Once we decided what sort of thing we wanted we did an internet search and Rubicon Garden Rooms came up. We went up to see the showroom in Deeside and we were really impressed. All the detail we were looking for was there and the price was right. We told John our budget and he was able to give us what we wanted within that price. Paul and Caroline are now finishing off landscaping their garden following the construction work. Paul said: “I’m not sure whether Caroline will be allowed in. Perhaps by invitation only – it’s definitely a man cave! But she’s happy as it’s freed up another room in the house, which used to be my office.